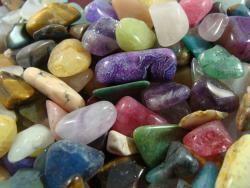 Approx Size: 1/4" to 3/8" size pieces. 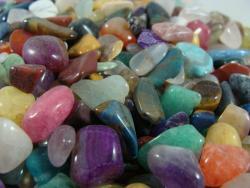 Approx Count per LB: Approximately 1200 stones per pound. 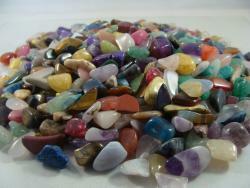 Tumbled stones by the pound sold in 1 Lb lots (Over 2200 Carats). Our polished gemstones for sale are often used for jewelry making, craft projects, gemstone collecting and children's parties. Buy Polished Gemstones - Size #2 (Extra Small) - 1 LB and get Metal Bucket Full of Rocks and Gemstones at an additional 20% off our everyday low price.